orange level on Monday afternoon. According to forecasters, Tropical Storm Nalgae will make landfall close to Sanya (southern coast of China’s Hainan Province) on Tuesday, October 4th. On Monday, October 3rd, Tropical Storm Nalgae continues its path in the South China Sea. According to forecasters, the storm will make landfall close to Sanya (southern coast of China’s Hainan Province) on Tuesday, October 4th. Afterwards, Nalgae is expected to pass through Vietnam and to affect the north-central regions on Thursday, October 6th. The storm will bring severe weather conditions, including heavy downpours and strong winds, to China (Hainan and Guangdong province) and Vietnam for the next four days. Taiwan will also experience bad weather in coming days. Flooding and landslides are likely to hit the affected regions. Road, maritime and air traffic disruptions are expected. Nalgae is the second typhoon in a week. Hainan province is still recovering from the damages left by Typhoon Nesat which lashed the region after it made landfall on September 29th. 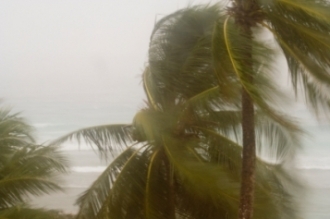 Tropical storms and hurricanes are common in the region, especially from May to November. People currently in concerned areas should monitor local media in order to get updated information. Follow all recommendations given by local authorities. If you are told to evacuate, do so and follow specific routes. Passengers planning to travel in and out China and Vietnam are advised to check their flight status before heading to the airport. Confirm all your travel arrangements.